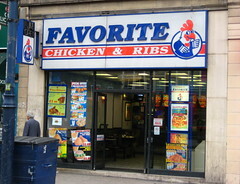 This article in today's guardian - about the proliferation of fried chicken establishments in the UK's high streets, reminded me of this Flickr pool, where people submit their favorite fried chicken shop fronts. A good example of digital imaging documentation of ephemera. Also, some finger-lickin rules about how to name your esteemed establishment over at bad gas, with a comprehensive gallery documenting the names of different establishments throughout the UK (with images, too). Historians of the future, look upon these works, ye mighty, and despair. ... it's because I'm in the final stages of writing a book, Digital Images for the Information Professional, which will be going into press with Ashgate next month. There's a thorough overview of his contribution to classics, and in particular, digital classics, over at Stoa. I didnt know Ross terribly well, but whenever I did meet with him, he was always kind, generous, and overall: interested. I first corresponded with him as a Masters student, doing my MA thesis in Greek Art, and here was this professor on email willing to spend some time engaging with a foreign, unknown student they had never met. As a young scholar, whenever I bumped into him from then on at various conferences and symposiums, he was always pleased to see me, always curious, always supportive. His contribution to classics has been great - but I cannot stress enough how much I respected this approachable, kind, scholar, and how much such support meant to a young scholar figuring out how the digital could fit in with the classical. An informative and amusing overview about the current flame wars happening regarding websites that dont function in IE8. Should browsers be backwards-compatible? Should web standards be adhered to? What is a web standard, anyway? 98% of the world will install IE8 and say, “It has bugs and I can’t see my sites.” They don’t give a flicking flick about your stupid religious enthusiasm for making web browsers which conform to some mythical, platonic “standard” that is not actually implemented anywhere. They don’t want to hear your stories about messy hacks. They want web browsers that work with actual web sites. From Joel On Software (thanks Os). 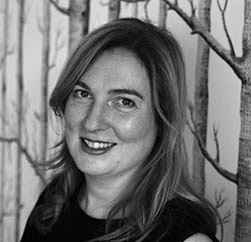 according to a paper published in Cyber Psychology and Behaviour entitled "Distress, Coping, and Blogging: Comparing New MySpace Users by Their Intention to Blog". 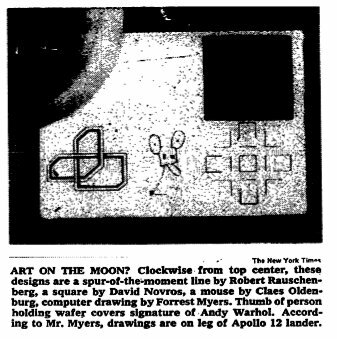 So, apparently, some wacky funsters incorporated a miniature museum into the Apollo 12 Moonlanding unit, so there is a museum of modern art on the moon. Who to believe? The joys of the interweb, keeping speculation alive.